Download the declaration of conformity. The ModBus sensor can either be a LoRaWAN class A sensor (50-70-080) or a LoRaWAN class C sensor (50-70-109). 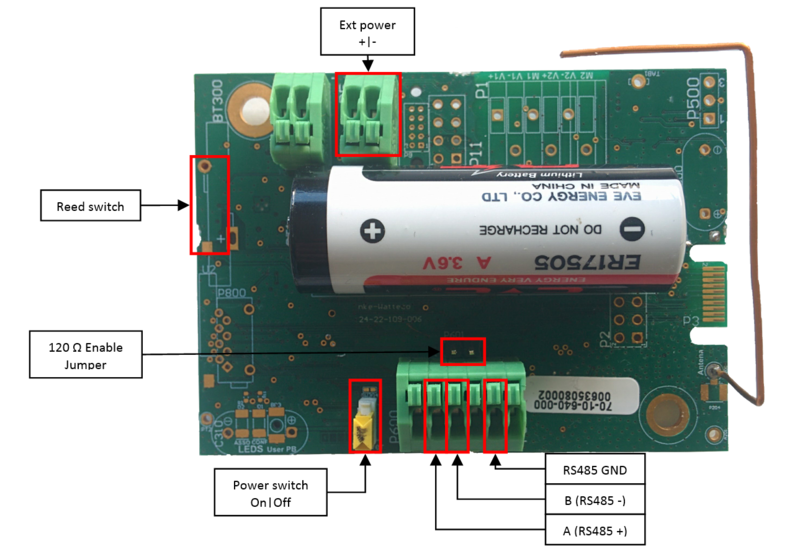 The class A sensor manages two different power supplies: one is external and may range from 9 to 24V, the other one is internal on a disposable 3.6V A-type battery. To use the external power supply, simply connect a compatible unit on the “Ext power” connector. The class C sensor only manages the external power supply, which ranges from 9 to 24V. The ModBus sensor incorporates all the connections needed for an RS485 bus: A, B and GND. It also includes an internal antenna. The ModBus sensor allows communication (via the LoRaWAN network) with any equipment that implements the ModBus protocol as slave. Thus, it works as a ModBus master. The ModBus equipment to communicate with must use the RTU coding type and an RS485 bus as the physical link. Moreover, the ModBus equipment must support at least one of the baud rates in the following list: 1200, 2400, 4800, 9600, 19200, 38400, 57600 or 115200 bit/s. 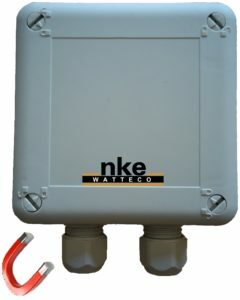 If these prerequisites are fulfilled, the nke Watteco ModBus sensor is compatible with the equipment, and thus, can correctly communicate with it to get or set any modbus registers present inside the equipment. Thus the ModBus equipment is now LoRaWAN ready thanks to the sensor. Then connect the wires to the different signal or power terminals that will be used. The cable to be used for RS485 communication must have some features to allow the signals to be correctly transferred from the ModBus sensor to the ModBus equipment, especially when there is a long distance to cover. The RS485 bus signals must be connected to the corresponding signals on the ModBus equipment side. The Ground signal of the RS485 is generally connected to the shielding braid on both sides. Moreover, a terminating resistor for the RS485 bus is available on the ModBus sensor. By default, this resistor is enabled thanks to a jumper placed over the 2 contact pads. This resistor is not always needed to achieve good communication on the RS485 bus. The choice of enabling or disabling it is at the user’s discretion. To enable it, leave the jumper on the pad. To disable it, remove the jumper. When powered by its 3.6V/3.6Ah internal disposable battery, the class A ModBus sensor autonomy is greater than 10 years for a report of 4 bytes (2 ModBus registers) with SF12 every 1 hour. More examples of ModBus sensor autonomy on its disposable battery are shown below. N.B. : The autonomy times here above are given for an end-device with SF12 in unconfirmed mode. N.B. 2: As the class C device is only powered by an external power supply, its autonomy has no limitation. When the class A ModBus sensor is delivered, the sensor is in storage mode. 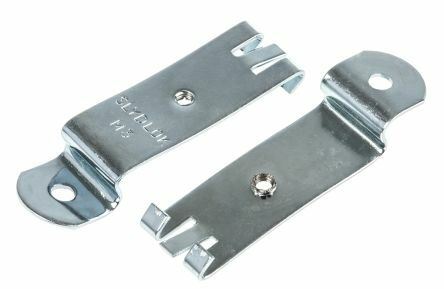 To get the end-device out of storage mode, a magnet must be placed near the reed switch for 1 second, until the device starts beeping regularly. The picture below shows where to place the magnet. The table below describes the actions to be performed on the reed switch to disable or enable the storage mode. When the class C ModBus sensor is delivered, it is ready to operate. It simply needs to be powered using an external power supply. Once powered, the device starts immediately and tries to connect to the LoRaWAN network. Once the ModBus sensor starts, it tries to associate to a LoRaWAN network. During that time, it beeps regularly every 2 seconds. Once the association is completed, the ModBus sensor beeps 4 times and then stops beeping. The table below summarizes this. With the reed switch on the ModBus sensor and a magnet, several commands can be sent to the sensor. Below is the list of commands. Configuration mode (only for class A sensor) : « void » frames are sent every minute for 10 minutes. The ModBus sensor automatically executes a reassociation procedure if no downlink frame is received by the sensor during a given periodicity (4 days by default) or if a given number of confirmed frames (100 by default) are considered as failure (no acknowledgement received). 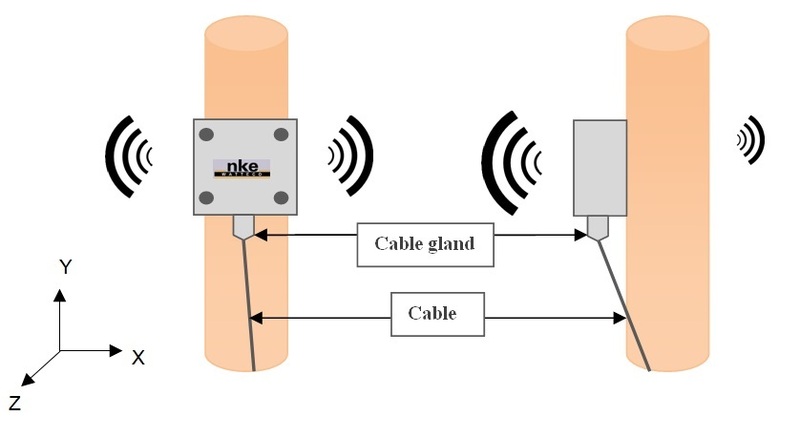 However, a reassociation procedure can be requested by sending an applicative frame to the sensor or via the sensor’s IHM. In the ModBus sensor, the Serial Master/Slave Protocol implements 8 EndPoints (software version v3.5.0.4294.4338) or 10 EndPoints (software version v3.5.0.4740). That means that up to 8 (or 10) requests can be managed by the ModBus sensor, thus up to 8 (or 10) reports with different configurations and different ModBus requests. 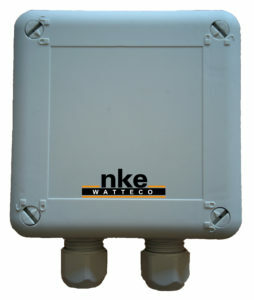 This number of Endpoints allows a wide variety of exchanges between nke Watteco’s ModBus sensor and the ModBus equipment. Furthermore, the ModBus sensors (class A or class C) integrate the following clusters. Since the ModBus sensor is a very open sensor that is compatible with wide range of equipment, there is no default report configuration on the “Serial Master/Slave Protocol” cluster. The minimum ModBus exchange periodicity available is 1 minute. If in the configuration of the report, the minimum value is set under 1 minute, the sensor changes it to 1 minute. If the minimum value is more than 1 minute, the exchange periodicity depends on the minimum and maximum intervals in the report configuration. If the minimum is set at 0 and the maximum at another value, then an exchange will be carried out every minute, and a report will be sent when the time reaches the maximum value (if delta is set to 0). If delta is set to 1, a first report will be sent after 1 minute. Afterwards, a report will be sent each time the answer from the ModBus equipment changes. If the minimum is set at a value other than 0 and above 1 minute, then this value is the periodicity used by the sensor to send the request to the ModBus equipment. Finally, if the maximum and minimum values are under 1 minute, the report will be sent every maximum period, but the ModBus answer sent on the LoRaWAN network will only be updated every minute. Solution: the solution is to configure all the serial link parameters using the “Serial Interface” cluster. There is just one EndPoint for this cluster on the ModBus sensor, thus the EndPoint is 0, we will use the “Write attribute no response” command (0x05) and the cluster ID is 0x8006. Thus, the different payloads to be sent to the ModBus sensor to correctly configure the serial link (on the FPort 125) can be found below. It can be seen that the payload to change the stop bit is here. However, it is not necessary since 1 bit is its actual default value. Situation: we want to save a ModBus request on the second EndPoint of the ModBus sensor. This request should allow 2 registers of the ModBus equipment to be read from the address 0x140. The ModBus address of the equipment (thus, the ModBus slave address) is 0x23. Situation: now that the request on the second EndPoint has been correctly saved (see paragraph above), we want to report the answer of the ModBus slave to this request every 1 hour. In other words, we want to have the content of the 0x0140 and 0x0141 ModBus register every 1 hour. Solution: the solution is to configure a report with the command “Configure reporting” (0x06), on the second EndPoint (0x31) of the cluster “Serial Master/Slave Protocol” (0x8007), on the Attribute “Answer” (0x0001) with a periodicity of one hour. Situation: let’s imagine that several ModBus requests have been saved on the ModBus sensor. And now the user wants to get all the ModBus answers from the requests, in one go and with the same periodicity. It allows the duty cycle of the sensor to be optimised. The user wants to have all these answers every 2 hours. Solution: the solution is to configure a report with the command “Configure reporting” (0x06), on the first EndPoint (0x11) of the cluster “Multi Master/Slave Answers” (0x8009), on the Attribute “Present Value” (0x0000) with a periodicity of two hours. The cluster used is described in details here.